All my life I’ve suspected I wasn’t receiving as many awards as I deserved. But if you bring that oversight to anyone’s attention, they automatically place a mental check next to your name for being the type of person who desires awards and is therefore the type of person who is undeserving of awards. The procession of participation trophies and medals seemed to end with adolescence, and it’s probably been twenty years since anyone gave me a trophy. I’ve received the occasional certificate or plaque, but you would not believe how rare it is for someone to buy you a drink when you bring your certificate to a bar versus bringing a giant trophy. But here’s a lesson I recently learned: there’s no international body overseeing the purchase of trophies. Anyone can buy a trophy. Maybe you were thinking of giving me one, but you assumed you didn’t have the legal right to purchase a trophy without a permit, and because I figured this might be the case, I went ahead and commissioned a giant ‘For General Excellence’ trophy that now sits on my desk to inspire me as I write. Now that I’ve won a ‘For General Excellence’ trophy, I’ve been inspired to seek out other awards, both deserved and disputably deserved. I’ll be documenting my awards and quest for trophies in the My Trophy Room page. I’ll also be adding the blogging awards that readers have given me over the past year. If any reader is a mayor, or is blackmailing a mayor, I would love to have a key to a city (not Miami). If you are aware of any city that might be willing to give me a key (the key should literally open every door in the city), I’m willing to pay the cost, shipping, and provide a generous review of that city’s character and industry. Greatsby, Your the best…you deserve a trophy for this post….I’m sending you one ok? Before you send me a trophy, you should know my trophy colors are gold and only gold. Learn origami and fashion the certificates into a trophy!!! If I go to all the trouble of learning origami, somebody better give me a trophy for that to. 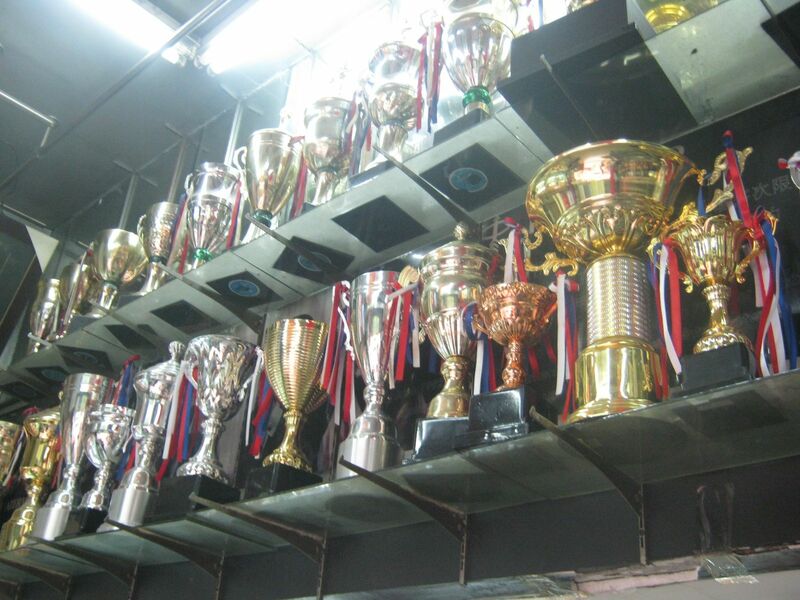 Maybe you should open a trophy shop–then you could really have ALL the trophies! With the Oscars just hours away, you’ve nailed it! Sadly, there are few trophies for grown ups. It’s a shame, isn’t it? There are very few excuses to wear a tux. Patrons might be a bit suspicious of my best trophy shop trophy. I got a perfect attendance award once. I never showed up to claim it. You probably can’t help but wonder how many doors that award would have opened for you in life. I am glad that I wore my sunglasses! You should consider melting that trophy down if it is gold. It could be worth a fortune and could pay for many more trophy rooms…. It’s a constant trade-off between spending money on nicer trophies or spending on bigger trophy rooms. By the way, you better include the fact that you are on the WordPress Recommended Blog list! I’d suggest competing at lower levels to win…sort of like Johnny Knoxville in “The Ringer”. Hey, maybe you could get the girl, like he did, as well? I like that idea…I might buy myself a trophy. Trophies are nice, but I’ve always wanted a title like “Your Majesty” or “High Exalted One” or “Princess.” But it’s really hard to get other people to address you as such. Even if you have cards printed. “General Excellence” would be a great title, too. Have you considered legally changing your name? When people send me letters or postcards, I insist they address me as Sergeant Fathom. Really? I’m called HRH all the time. Oh and just your Highness on occasion. It’s good to be the queen. I’m glad your rank has been established. You’re right; I don’t want Detroit’s key either. I figured this out when my son became a cub scout. He fell behind in his achievements and so his little vest was looking sparse. My husband and I decided to do what any good parents would do, we went to the Cub/Boy scout store and purchased all the patches that we were missing, and then some. Well, we bought them all. My son was the most decorated scout anyone had ever seen. Very impressive, indeed. I was voted Most-likely-to-stay-toilet-trained. Any idea where I can get a trophy with a golden diaper? I’ll buy two, of course, and send you the other. I am pretty sure you’re toilet trained. Be sure to include that time I said I nearly peed my pants seeing the name “Good Greatsby” in my inbox for the first time. If bladder incontinence isn’t a worthy endorsement of your talent and skills, I don’t know what is. I really hope the Grade 1 teachers smarten up and upgrade your “Most Creative” accolades to a gigantic, golden trophy. I’d expect nothing less, really. That actually is a great endorsement; I can’t recall making anyone nearly pee in their pants, although it’s possible that’s just not the type of thing people mention. You could check local pawn shops, too. Never know what you might find. It would be kind of funny if pawn shops actually sold other peoples’ old trophies. I agree with Patti. You just never know. I have the Lifetime Menopause Achievement Award. Write away, GG. Stay up all night thinking of clever ditties to entertain your legions of followers. Resort to suave good looks and fake pipes, if you must. But you will never be able to challenge me for that award. Never. Before I even consider challenging you, I’d have to know if it came with a trophy, t-shirt, or cash prize. Would you settle for hot flashes? Opening line=winner. Other lines are pretty good too. I have two trophy mad kids. One of my kids went from wearing their karate uniform every Wednesday to taking up DANCE because of the trophy ratio. The other would draft your letter to an elementary school teacher in an instant. Thanks for the great read and laugh. 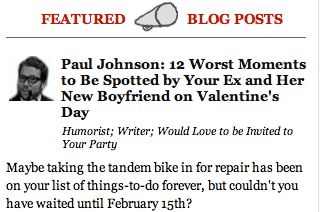 I won’t be so reticent in nominating you for a blogging award now that I know you have a place to put it. You can have my baton trophy. I won second place only because at the end of my routine I nailed myself on the head doing a triple turnaround. Why does this post remind me of Bobby Brady and his relentless (and very sad) quest to win a trophy? Maybe you can enter into some ice cream eating contests? Bobby Brady was the most misunderstood of the whole, bloomin’ Brady bunch. You’re saying it was a pity-trophy? Could you please post of video of yourself twirling your baton on your blog? I would really, really like to see that. I just bet you would, Pegolicious. And I would do it, but only for you. My first thought was “There’s no way I could fill a whole room with trophies.” But seeing the qualifiers include “deserved AND disputably deserved”, that lowers the bar just a tad. I found a business that will make you a Key To The CIty key for only 16 dollars, but you have to buy 100 of them. It might be worth it if you could get 100 different cities on the keys, but that might not be part of the deal. Hilarious! I’m totally gonna start buying trophies for myself. The engravings will be highly complimentary of course. When Gen. Excellence finds out you have his trophy, he’s going to throw you one sting-fest of a beatin’.